Take care of damaged skin with Panier des Sens The Essentials Rejuvenating Rose Perfumed Soap, an extra-gentle solid soap bar inspired by the master soap makers of Provence. 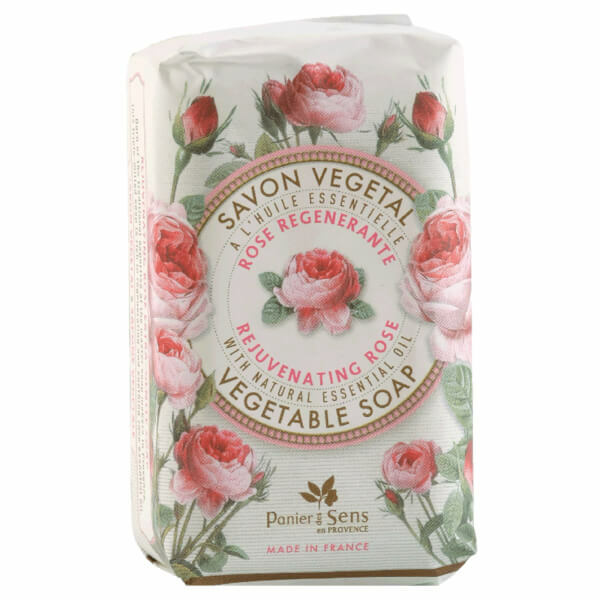 Transforming into a delicate foam upon contact with water, the vegetable soap is enriched with Rose Essential Oil to tone and firm the body contours whilst replenishing vital moisture to dry skin. Helping to soothe any feelings of irritation or discomfort, the soap leaves behind reenergised, revitalised results and an uplifting fragrance.